Do you have an effective system to consistently generate leads for your business? If not, no worries. We are continuing along with our series on how to do that with content. It’s a super smart way to attract your ideal clients to you, by giving them something of value that solves a problem they have. It’s a much better approach than chasing after them, begging them to buy your stuff or pay attention to you. And it brings much more consistent results as well. First, we started with chatting about running virtual summit. And then we dove into webinars. And today we tackle podcasts, and how you can create a show that enables you to build a deep connection with your audience. I’ve invited Jerod Morris, VP of Marketing at Rainmaker Digital, and host of five podcasts, including a podcast about podcasting, to come and give a primer on why you should consider podcasting for lead generation for your business. Here’s what you’ll pick up from the session. You can watch the training session here, or read through the transcript below. Hey Jerod, thank you so much for joining me today, how are you? I’m doing wonderful Sonia. Thank you for having me, it’s always wonderful chatting with you. Oh, it’s my pleasure. Alright, let’s go ahead and dive right in. You are the podcast King! At least in my eyes. Or my ears. So tell me, what exactly is a podcast, because I sometimes take for granted that not everyone knows what it is. That’s a good question. I may have a different definition of it than some people. To me, a podcast is just an on-demand piece of audio. I kind of think of a podcast as singular, even though we do use the phrase podcast to be like a show, but the way I really like to think about it, because of the mindset that it puts me in is a podcast is a single piece of on-demand audio, a show is the successive single pieces of on-demand audio that form kind of coherent whole that take an audience on a journey. I think when you typically hear the term podcast used, it will be used for what I think of as a show, but I think if you’re really going to run a quote unquote podcast, but run it like a show, thinking about it like that, like it’s a tv show, like it’s a radio show, like it is a show, that your podcast is competing with all the other shows out there for attention, I think it helps you to be in that mindset. You have my definition, and then you have the more general definition. I like that. I like that. So it’s kind of like if you think of, like you mentioned radio, you can listen to the radio whenever you want, but it’s the exact same station whenever you want, whenever you want to listen to it. Right, exactly. It’s on demand, and it’s there, and you can listen to it whenever. That would be the distinction between a podcast and radio. So what would you say are the business benefits of utilizing a podcast, because now they’re becoming a whole heck of a lot more popular these days. I mean, there are so many of them, we could probably talk about the business benefits of a podcast for an entire hour. Really, it just goes back to what is your ultimate goal, and then there is a way to fit a podcast into that. So let’s just use a couple of examples. So we started a podcast the New Rainmaker podcast when we launched the Rainmaker Platform. Well the goal of that podcast, was to build an interest list that we could then launch the platform to. That was a very specific business goal. That podcast itself, there was no advertising, we weren’t selling anything directly for it, it was content marketing to develop this relationship with an audience, give them something of value, create a really engaged subscriber list, and when the platform was ready, you have this engaged list of people who have connected with you with a podcast, that you can sell it to. That would be one business benefit of a podcast. A lawyer that I met a couple of months ago, who does a podcast, and he doesn’t care about listeners, he doesn’t have any advertising on it. His main purpose with the podcast is to have something that kind of greases the skids for networking. Because it’s a lot easier for someone you’ve been trying to talk to, to get thirty minutes when it’s ‘hey, can I interview you for the podcast’ as opposed to ‘hey, can I just hop on the phone.’ So he’s found it to be this great way for networking. And of course there are many, many other ways that you can monetize a podcast. You could sell sponsorships on it. We have a little side project podcast that I do with just one of my passions, Indiana basketball, and we’ve made money off that. We’ve had donations, from affiliate marketing, all kinds of things. There are myriad business benefits and avenues with a podcast, and you don’t always have to start with the end in mind. Sometimes you could just start with the topic and a desire to connect with an audience, then a business idea, a business avenue can kind of flow from that. But if your focus right now is thinking about how a podcast can fit into the business, start from the end in mind, and think ‘what am I going to sell, what is my product?‘, and again if your product is you or something else, then maybe you use it for networking. If there is a specific product, then you’re building an audience around that product. But a podcast will help you do it, because of the ability to create a great connection with an audience. And ultimately, when it comes to selling anything, whether it’s yourself, whether it’s a product for someone else because you’re an affiliate, or whether it’s your own product, you gotta build that know, like, and trust factor, and few content types, if any, do it as well as a podcast. Why would you say that few do as well as a podcast? What is it about a podcast that makes it so special? Because you get to know the person that’s talking when you’re listening to a podcast. Some writers have this amazing ability to really make you feel like you’re connecting with them by just reading words on a screen. And it takes a really really special writer to do that. You can certainly educate people, but I don’t think with writing that you can truly gain the type of connection, camaraderie, and companionship that you can with a podcast. And there’s several reasons for this. One is that there are scientific studies that have proven that people can get certain, they can find out certain things about you from your voice, just by hearing your voice. Did you hear there when I was talking, how I didn’t know quite what word to say and my voice kind of cracked a little bit and it’s like ‘oh no, he’s about to go off the rails, ’cause he doesn’t know what he’s about to say.’ You can really sense that moment of trepidation. And now as I’ve recovered, you can sense the enthusiasm in my voice ’cause I’m back on track. And because the podcasts I do, they are about topics I tend to be very enthusiastic about, and so I’m able to create that connection. And so you’ve got that, your voice inside of someone’s head, there’s like this, you think about the two-dimensional words on a page, you know, a voice inside of the head, it’s like a three or four-dimensional type connection that you can make with people. And the other thing is, think about the times when people are listening to podcasts. A lot of times they are intimate moments where no one else is able to go or even allowed, right. I was just listening to a podcast earlier today in the shower, and when I was walking my dog, and when I was working out. I did all three of those things earlier today, and I was listening to a podcast during all of them. And those aren’t moments that I share with other people. But yet, I shared them with Brian Clark and Peter Shankman, cause I listen to one of his podcasts, you know what I mean. And it’s like these people are there with me doing these activities, and you combine that with the voice inside the head phenomenon, and it just it creates this camaraderie and this level of companionship that you can’t get from other content types. You can’t really get that from video, because video requires you to be watching it. And so yes, if you sit down and watch a video you can get that connection, but with a podcast, people can take you with them. It’s a lot harder to do with a video. That’s why I think just the versatility and the ability to really get inside someone, because they’re getting inside of your head with their voice, makes it just an unparalleled medium for creating a connection. Why, well you kind of alluded to it before, but I’ve never actually heard somebody say, ‘I’m looking for a blog post to read’ or ‘I’m looking for a YouTube video to watch,’ what is it about podcasting, is it all those things that you mentioned that makes it to where people are actively seeking them out to listen to? Yeah, and I think it comes back to again when people are listening to podcasts. So a lot of times we use podcasts to fill time when we’re doing something, but when we have some attention to apply somewhere else. So it’s like when I go and walk my dog, I like being out there and walking and all that stuff. And sometimes I don’t listen to a podcast, but a lot of times it’s like ‘what can I listen to, what can I learn?’ ’cause now it’s like I can double my efforts. I’m walking my dog, but I can also learn something at the same time. Same thing when I’m working out, same thing when I’m showering, when I’m emptying the dishwasher. All these times when I’m doing something physical, but my mind isn’t really occupied, my eyes aren’t really occupied, and I have time to get into some type of story or interview, it’s literally always my first thought. Sometimes that can be bit of a challenge, because then you’re looking through your feed and trying to figure out which one, and you almost get paralysis by analysis, ’cause it’s like ‘dang it, there’s like three options right now, which one do I pick right now?’ You just have to pick one, that’s my advice to everyone, just pick one and go with it. Don’t overanalyze it. But yeah, it’s because we have these moments in our lives, where it’s like ‘hey, I’ve got this excess capacity to learn something or be entertained, and nothing else can fill that except for audio. And so again, that’s why radio is great, and I have learned a lot about podcasting from listening to a lot of really talented radio hosts, because they are great at creating these really compelling audio experiences. And yet, until radio starts to put all of their segments on as podcasts, and makes them on demand, a lot of times with radio, you have to deal with all the ads, and come in at just the right time, it can be a little harder, but with a podcast, you have them all within your feed right there, and it’s just so simple, and then we become conditioned, like I am now, whenever I’mg going to go do one of these activities, immediately I’m like ‘ok, which podcast am I going to listen to?’. And that’s what you want to do as a podcaster, as a showrunner, is to position yourself to get in that rotation, so that people have these moments to fill, you’re one of the folks whose shows they consider, because you talk about interesting topics with them, because they’ve connected with you. That’s really the goal. But you’re right. We don’t really do that a lot of times with other mediums, because you really have to be focused on that. It’s like if I’m going to watch tv, I’m sitting in front of the couch and I’m watching tv. Now maybe sometimes I’m taking Netflix with me on the treadmill, and I’m watching something there, and that is where it compares with and competes with a podcast, but for the most part, now there are so many times now when we’re doing things that don’t require our ocular attention, and we can put a podcast in, and it just fits so nicely into those little niches of life. You know, I don’t want to make a blanket statement and say that it will work with every niche because there are probably some that it won’t work with, like I don’t know, if you’re really trying to target, and here I’m going to throw out a stereotype. But if you’re trying to target, say like people who live in nursing homes, right, our inference there, or our guess would be that they are not listening to a lot of podcasts because they’re older, and older people don’t adopt newer technologies as quickly. And yet, I have no idea if that’s true, so don’t quote that as like the gospel or anything. I will say that I haven’t found any niches, that won’t work for a podcast. But I think if you do find one, but you know that niche exists, then you may have a first mover advantage, which can be granted, a little bit scary, because a lot of times, I really recommend to folks don’t be scared if there are five or six other shows, that’s great. That means that there is a market of podcast listeners out there who are consuming this content, and now you just have to find your positioning to differentiate yourself within that niche, which is very important. But I think as podcast listenership grows and grows, and every single year it grows. We’re up in the mid-thirties now in terms of people who have at least listened to a podcast once. And we’re getting up near twenty percent of people who have listened to a podcast in at least the last month. Which is good, those numbers are growing, which is encouraging, but on the flip side, there’s still so much untapped potential. So I think if you look at it and you can’t find a podcast for your niche, it may just be because that niche needs to be exposed to podcasting, but I think they will be. And the trends suggest that they will be. So I think if you have an inkling to do it, don’t let that fear make you avoid it. Because the other thing to think to is again, you might have a first mover advantage, and if you have something of an audience in that space, now you can bring your podcast out there and introduce it to them. So it comes back to what we talked about earlier about the business ideas behind it, and what is your goal, what are you trying to do. I think there are a lot of mismatched ideas for what a podcast can do, maybe a mismatch in what this content is, and what you’re doing with the show and what the audience needs. That may make it seem like, oh, well this won’t work for that niche. But I think for any niche, you can find a way to make podcasting work as a content type, and that really is just the challenge to you as the content creator and marketer, to figure out what that audience needs and then give it tot them. Now is there, does somebody have to have a certain level of experience before they get started with a podcast? Is it super technical, is the barrier to entry very high, is it much kind of lower? It’s different from a blog though. No. I would have answered that differently about a year ago. Now after having worked with so many aspiring and new podcasters, and when you look at how much the technology has changed and how easy it is now to get that minimum level of audio quality. I mean obviously I’m talking to you right now on a PR40 mic, and I’ve got a boom arm and it looks really really professional, but it wasn’t that long ago, that I wasn’t using a mic like this, plugged into an H6, and kind of this professional sound. I just had an old USB mic that someone had given me, plugged into a computer. And I built some successful shows just doing that. I kind of feel like I earned the right to upgrade my equipment. I think what you need more than experience, is you need enthusiasm. I don’t think that you’re going to go very far with a podcast if you don’t have enthusiasm for the topic and the audience. You probably need some level of experience, or if you don’t have experience, enough enthusiasm that it will carry you through as you go and create that content to gain the experience and knowledge you need. Enthusiasm is the number one thing, and if you have that, don’t worry about the other stuff. You can get that minimum level of audio quality for fifty to sixty, sixty-five dollars. You can do that. And there are free programs for editing. And there are tutorials out there that will teach you how to do everything. If your expectation is I need to be able to sit down and understand everything from day one, and be able to edit and do everything and be a great interview, and all of that, then yes, for it to work with that mindset, you probably need a certain level of experience. But if you have enthusiasm, and you’re willing to learn, then you don’t need the experience. And I highly recommend that you just go out there and give it a try, because you won’t know. Your first topic that you podcast about, it may not end up being the right one. There have been so many start and stop podcasts that I’ve learned from every single one, so I don’t consider them a failure. But no, I don’t think it’s a minimum level of experience, it’s a minimum level of enthusiasm. If you have that, it will carry you enough to get you the experience that you need to keep you moving up and leveling up and getting better. No, I like that. Because I think a lot of times people will feel like they have to have some level of experience doing something before they do it professionally, or before they do it for their business. But this isn’t like that at all. No. Just do it, like Nike says. Absolutely. 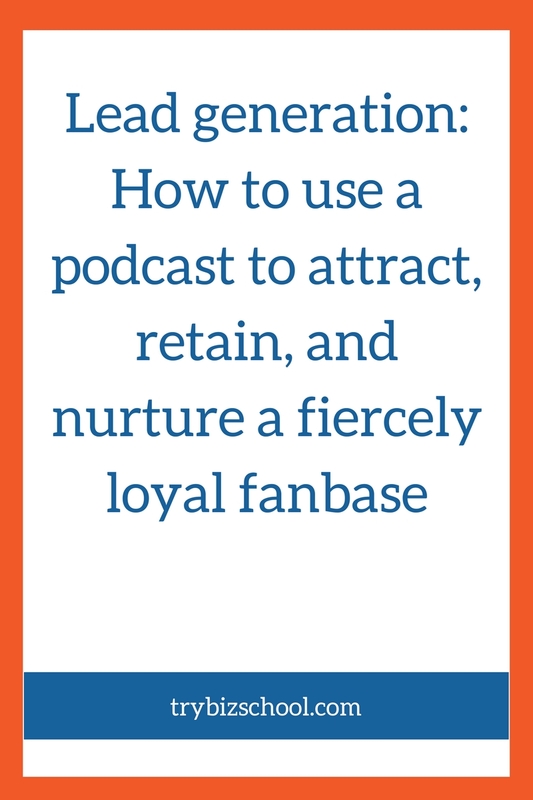 What would you say are the three keys to success for building a successful podcast? It’s very hard for me to narrow down three keys because I think as you know, there are four keys that I’m going to want to talk about here. You know, but let me say this. I think the first three are really really important, and that is as you know, you’ve got to be authentic, you’ve got ot to be useful, and it’s got to be sustainable. So when I talk about authenticity, it’s about really knowing yourself, and this gets back to that enthusiasm part. What gets you enthusiastic? What, when you talk about it, will people get from the timber of your voice, will they understand that you’re enthusiastic? Like I hope, people listening to this right now can get from my voice that I’m enthusiastic about podcasting. If that doesn’t come across, then I’m really doing something wrong, because I love this topic, and I can talk about it all the time and I have experience, and I want to share it. So that’s very important, but it’s not just important because I want to get in here and talk about it. I’ve got to find the intersection between that excitement, and enthusiasm, and knowledge, and experience, the intersection with now an audience, and their goals and their challenges, and how what I know and what I’m excited to talk about, can help them take the next step. Right, and so that intersection is authenticity. And I think if you can find a topic where you can bring that authenticity, and find an audience where you can do that, now you’ve got the first step, because we talked about, you know I’ve mentioned these words like companionship and connection, well the only way to really get that, is to be authentic. You’ve got to be yourself, but you’ve got to be yourself in a way that is compelling to an audience, because it’s helping to move them forward in some way. And the moving them forward in some way is the usefulness element. So you’ve got to educate people. Or you’ve got to entertain people, or you’ve got to inspire people, or you’ve simply got to provide that companionship for them, in the way that they’re expecting. And so what I mean by that is, people listening to this right now, they probably aren’t coming here to be entertained. I hope that you’re entertained by the conversation, but the number one element of usefulness that you the listener right now are looking for is probably education. And so it is our responsibility Sonia, to make sure that we deliver that education, that primary element of usefulness, right. Because if we don’t do that, now we’re not really going to be able to create an authentic connection, because clearly our understanding of our audience was off. And so each show, each format is going to be a little bit different. And yes, you really hit podcasting audio gold when you combine all of them. When you can do something that entertains people, that educates them and inspires them, but it’s really important to understand that it’s got to do one above all else. You have to understand that people are coming to you for one element of usefulness above all else. And so you’ve really got to make sure that you’re meeting that, and then you’ve got to be sustainable. That’s, if you want to get into that regular rotation, when someone’s going out for a walk, going for a workout looking for what show they’re going to be listening to, they’ve got to know that you’re there, and you’ve got to keep showing up. Because guess what. This headline and this show you that you did today, that might not really speak to that person. And you know what, next week’s might not either. But the one three weeks from now, your headline may hit on an issue they were just having earlier that day, and now they are excited to listen, because they know or there’s a promise in your headline that you’re going to answer that, and they get into it, and maybe they even go back and listen to your archives, or maybe they’re more locked into the future. But the only way you start to develop that and build that trust, is to be sustainable. Which means you’ve got to show up, so you’ve got to put your first episode out there. And then you’ve got to show up in some reliable way, so if you’re going to be there on Wednesday’s, be there on Wednesday’s. You know, if you’re going to be there four times a month, be there four times a month. And granted, doing one show a month, and then four the next is better than doing none, but the more reliable you can be the better. And then you’ve just got to do it over time. Because yeah, you can build a connection for a couple of weeks, but then if you’re not there, that’s going to fall off, and people are going to forget about you, and you’ll be replaced by another show. You want to keep that going. So I think those three combined elements, be authentic, be useful, and then have a show that’s sustainable, they are so important for building the long-term connection, that allows all of your podcast efforts to compound, and really give you whatever the business value is that you want. No not at all. And in fact, sometimes you need, in most cases you need that profitability to allow you to be sustainable, which allows you to build that connection based upon that authenticity and usefulness. If you don’t have the profitability, you can’t keep going. And profitability can be money you make directly off of the podcast, money you make indirectly, because it’s more of a content marketing play and you’re leading people to a product or to your consulting services, or it can just be as simple as intrinsic profitability where you just get more out of the experience than you put into it. We ran the Assembly Call for four years without making a dime off of it. And it was just because we loved it. And only after that, this past season did we start making donations, and doing a little bit more with affiliates, and coming up with some other business type ideas. But we wouldn’t have got there if the experience wasn’t profitable in that intrinsic sense, and now it’s starting to lead to some other areas layers of profitability. You’ve got to be authentic, useful, and sustainable. And then if you really want it to last, and if you really want to truly unleash the power of podcasting, you’ll think about profitability too. So there’s really four things. It’s very hard for me to separate any of them from the others. No, no. Well I mean, it doesn’t have to fit into like, it’s nice that they are all connected. You’re able to see how they all relate to each other, and that it’s one continuous piece that works. So yeah, I like that you have the framework already. So what would you say a podcast needs to do to, how does it need to fit into the overall content strategy? Now, you mentioned that a little bit in the beginning when you talked about goals and objectives. But how should somebody be thinking about that as part of their overall strategy? Can the podcast be it, or are there other components that they should be considering to get the most out of their efforts? It’s a great question. I think it can depend on the audience you’re serving and what your goals are, but I tell ya, for a lot of the projects that I’ve been working on recently, and that we’ve been working on at Rainmaker Digital, it started with podcasts. It really has. And I think there’s a few reasons for that. You know, number one, it’s really simple to repurpose a podcast, because it’s like, we’ll get on here and we’re talking right now, let’s consider this to be a podcast episode, right Sonia. Think about all the different things that we could do with this. If this weren’t on video, we could take it and we could create a video from it, with that audio file by creating slides. Put those slides with the audio, and that can go up on YouTube now. Ok, we could take the transcript of it, and turn it into a blog post, or just take the bullet points and turn it into a blog post. And that can keep going on and on. And so there are ways where you take this audio file, and it’s kind of base content, and now it has all these tentacles and can go out in different ways. But I tell you the other benefit that we’re really seeing, and we’ve been doing this on the Digital Entrepreneur, is come to the episodes with ideas that are maybe seventy percent fleshed out. And we’re going to talk about stuff that we’ve done, and so we’re giving people good information, but it’s not like we sat and outlined every word, and that it’s this fully formed piece of content, or fully formed idea. Podcasts, and especially conversational podcasts kind of allow you that beauty of exploration. There have been so many times, like right there. That phrase, the beauty of exploration, I’ve never said that before, I don’t know where it came from, but I think it’s kind of good. And the way that happened is by the exploration of us talking. And you can really get that with a podcast. You’re probably not gonna want to go on a podcast your first time with an idea and try and speak authoritatively on it. But when it’s a topic that you’ve engaged with some, now you get into this conversation. It can even be a monologue too, because I’ve done some monologue shows and you start kind of peeling back the layers of the onion, and going in different directions than you’ve gone, and sometimes that discovery happens. I think a podcast, instead of waiting for every single idea to be fleshed out and perfect for a podcast, maybe if you’re going to have audio files inside of a paid course, you would do that a little bit more, but for a public podcast, do you have to cut out some of that rambling and fight for some of that? Yes. But you’re going to have some leeway with your audience member if they trust you, if there’s a connection there, if they just enjoy listening to the enthusiasm in your voice. And a podcast can really help you explore ideas in ways that maybe you haven’t before, or that you haven’t with writing depending on your content creation style. I think each person has to figure out where that fits in with their own comfort level, and with their own workflow, and with the realities of just their work day, so I can’t give a blanket recommendation to everybody. But I think if you’ve never started a content project with a podcast, try it. Because there are so many ways that you can repurpose that content, and because just that element of discovery, and the possibility for discovery just within the talking and the exploration of ideas, I’ve found it to be extremely beneficial. Very cool. Very cool. Well Jerod, this has been great. Thank you so much for taking the time to share one of your loves with us and trying to get us on the bandwagon for how we can make it work for our businesses. Any parting words of wisdom for people who are considering starting a podcast to advance their business? Yeah, words of wisdom for anybody considering starting, would just be start. That would be the main thing. And go into it understanding that first five, ten, fifteen episodes, someday you will look back on them as being terrible. Now, objectively, they probably won’t be terrible. Because you know your s tuff, and you have enthusiasm for your topic, and you can do good work. But you’ve just got to get out there and get started, and I look back on podcast episodes that I did way back in the day when I was just doing sports podcasts. And I listen to them now and they’re not good compared to what I can do now, and I wouldn’t put them on any type of reel, right, or send them out as an example of my work, but that’s where I started from. And from that, I got better, and improved, and even then those podcasts helped us move forward with what we were trying to do. So again, getting back to the whole idea of you don’t need the experience, you need the enthusiasm, if you have the enthusiasm, but it’s fear or trepidation and maybe wondering if you can do the technical stuff, just start. Because there’s so many avenues now to help you and make you more efficient with that. If you’ve got the enthusiasm, it’ll carry you through. So get started, get behind the mic, and get some episodes out there. Very cool. Thank you again Jerod, this has been fantastic. Well it is always fun Sonia, I always enjoy talking to you, and you know I love talking about this topic. So anytime. This is amazingly long but very interesting. I’ll refer to this as top secrets that have been let out. I enjoyed reading every bit of it. Thanks for sharing such a wonderful and helpful insight on this topic, it will go a long way to help me. Hey Abuku – so glad you enjoyed it! We tried to cover the topic in depth so you’d have a proper chance to consider podcasting as a way to grow your business.